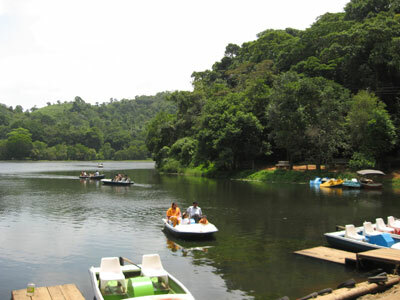 It is a natural fresh water lake, surrounded with evergreen rain forest. There is a fresh water aquarium & a green house here. Boating facilities are available here. 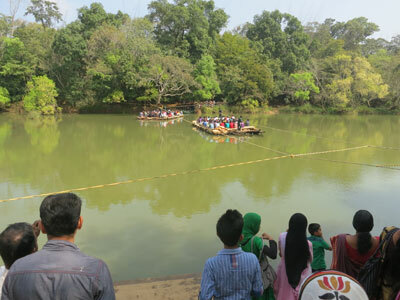 Pookot Lake is one of the most sought after tourist spots in Wayanad & a big hit with family crowd. Distance from Kalpetta 13 Kms. 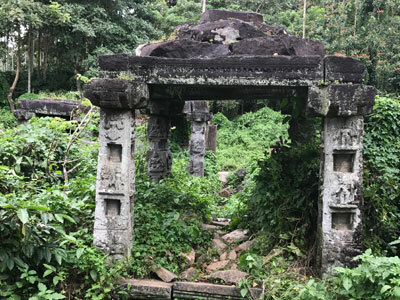 Timings: 09:00 A.M. to 04:30 P.M.
Timings: 09:00 A.M. to 06:30 P.M.
Edakkal caves in the Ambukuthy Mountains are not caves in the right sense. It is only a cleft in reality. It is a cleft of about 96ft. long & 22ft. wide in the rock. There are some interesting carvings of pre-historic age. This location is of breathtaking beauty. Distance from Kalpetta: 27 Kms. 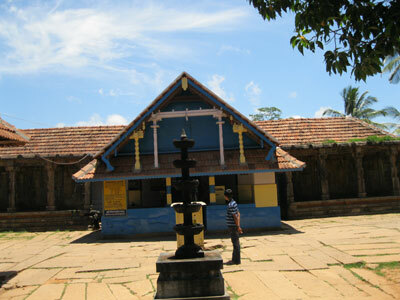 Lakkidi is one of the highest locations in Wayanad. It is at an elevation of 700 meters above sea level. As the name suggests, it is a great place to watch sun rise & sun set & on a clear sunny day, the view is mesmerizing. The view from the top also offers a bird's view of lofty mountain peaks, the gurgling stream, luxuriant vegetation & winding roads that are really awesome. Soochipara waterfalls are really treasures of nature. Alight from your drive & take a one km. 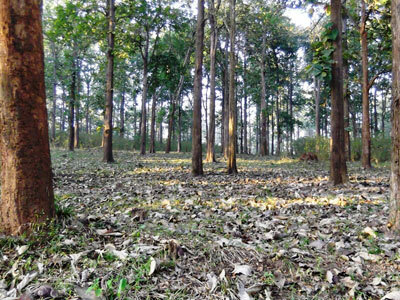 walk into the dense equatorial forest of Wayanad. You will discover nature at its thundering best. Soochipara is 3 tiered powerful waterfalls. The cliff face here is ideal for rock-climbing, but for true professionals only. Departure from the hotel before 03:00 P.M. 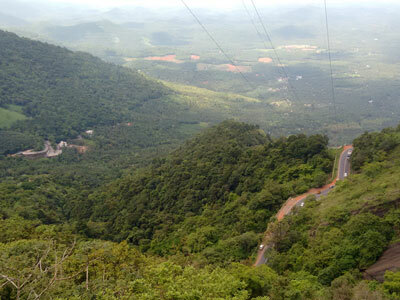 Distance: from Kalpetta: 35 Kms. 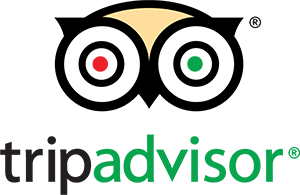 Timings: 06:00 A.M. to 10:00 A.M. & 04:00 P.M to 05:00 P.M. The labyrinth of Pakshipathalam is another fascinating trek. This is a challenging tourist spot for even adventure loving patrons. 9kms. trek along the winding paths through dense evergreen forest over three hills is required to reach here. 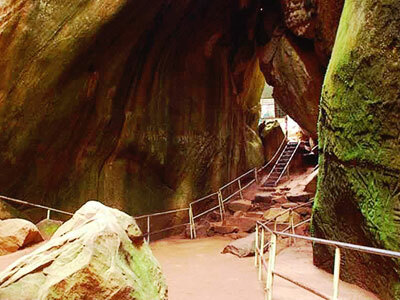 The destination is a grotto of caves created by nature a million years ago. This is the abode of various exotic birds & wild beasts. A minimum of seven days prior notice is required to organize this overnight trip. 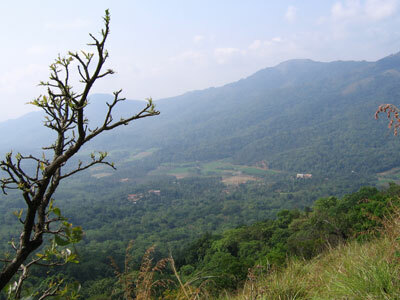 Chembra peak is 2,100 meters above sea level & the tallest point in Wayanad. Scaling this peak & back is an exhilarating 5 - 6 hours trek from the base. At 1,500 meters from the base, there is crystal clear lake hardly touched by human hands. This peak is a trekker's paradise & an ideal site for camping out at night. 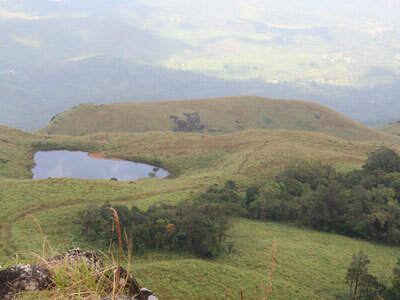 The scenic beauty of Wayanad, that is visible from the top of Chembra peak, is really mesmerizing. This is the largest earth dam in India. 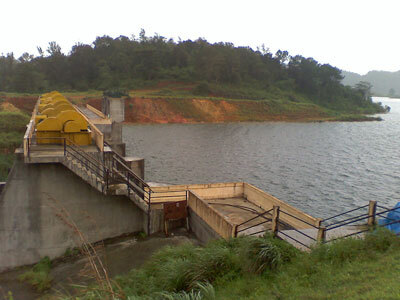 The topography is such that many islands will be formed in the upstream of the dam when it is full. These islands with the background of Banasura hill provide a hypnotizing sight to tourists. Speed & Pedal boats are available & are major hits with tourists. Speed boat ride, in particular, is an exhilirating experience & not to be missed. 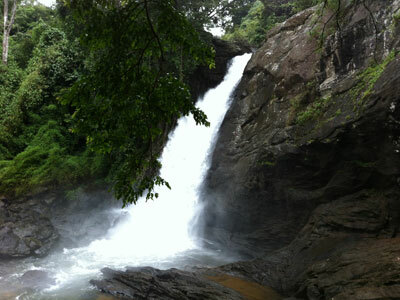 The trek to these waterfalls will take you through the beautiful & bountiful forest of Wayanad. The place to rest those aching bones of yours is at Meenmutty waterfalls - triple-decker waterfalls. 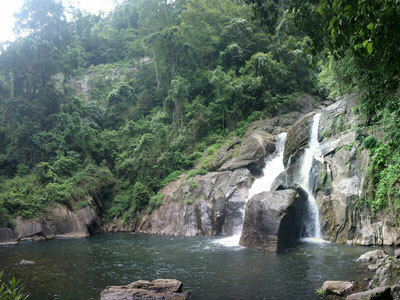 Timings: Reach waterfalls before 03:00 P.M. This is known as "Thekkan Kasi" or "Dakshin Kasi". It is firmly believed that a dip in the river Papanasini, running crystal clear downhill, washes away one's sins. Timings :06:00 A.M. to 12:30 P.M. & 5:30 P.M. to 07:30 P.M. This ancient site was the centre of spice trade. Diamonds & pearls exchanged hands here for cinnamon & clove. 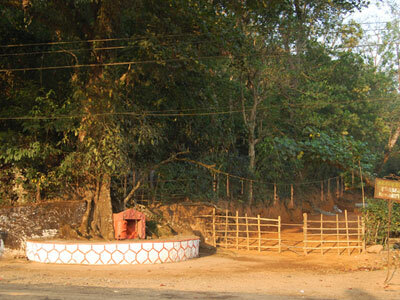 Distance from Kalpetta: 24 Kms. Timings: 06:00 A.M. to 09:30 A.M. & 05:30 P.M. to 06:30 P.M.
Timings: Reach Kuruwa before 01:00 P.M. 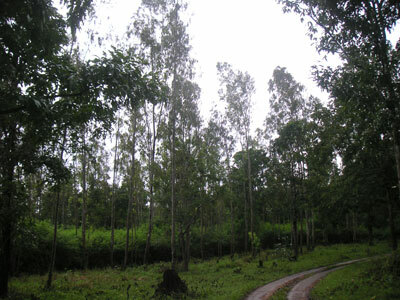 This is another popular wildlife sanctuary in Wayanad. You can find here spotted deer, elephants, bison, leopards…etc., Or the greatest hunter of them all Tiger, the big cat. Jeep safari is allowed inside & a big hit with tourists. Timings: 06:00 A.M. to 12:30 P.M. & 5:30 P.M. to 07:30 P.M.